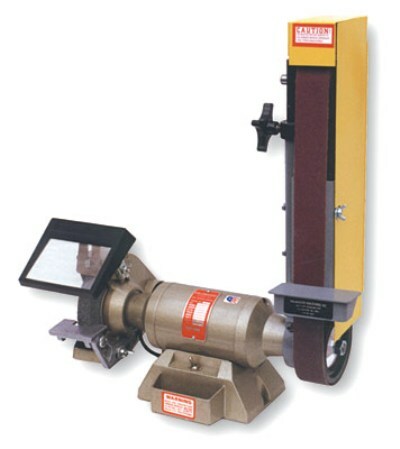 Two 2" x 48" abrasive belts on a 1/2 HP grinder! Rough & finish at the same time! 5" contact wheels on bottom for easy access. OSHA guard. Easy one knob belt tracking. Made in USA ! !